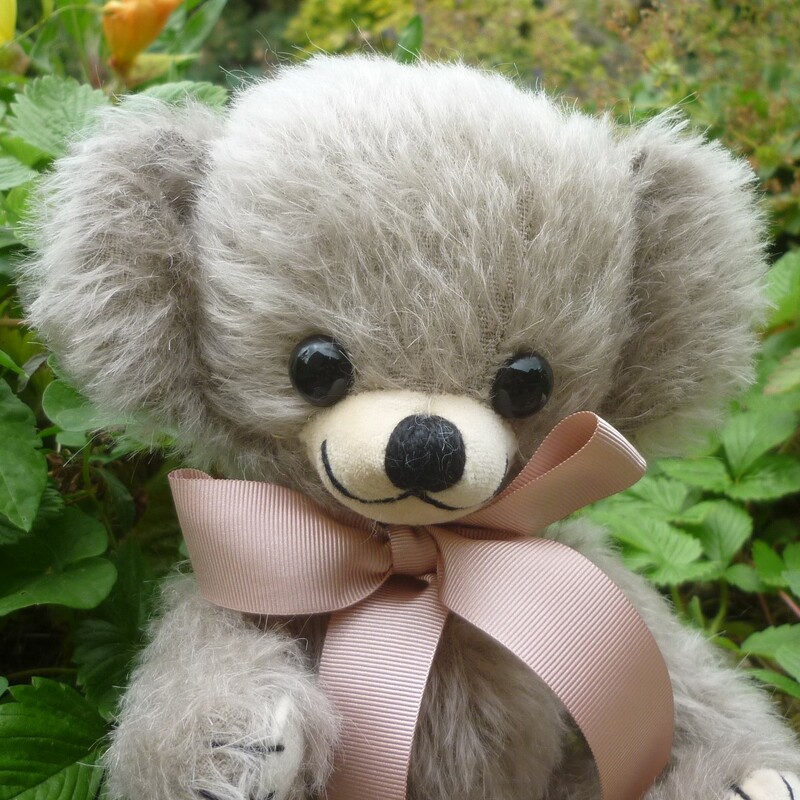 Dusky Cheeky premiered at, and was made for, the Merrythought Day at Teddy Bears of Witney on August 13th 2017. Made of distressed grey mohair with black safety eyes, he has a cream velveteen muzzle and foot paws and cream felt hand paws. 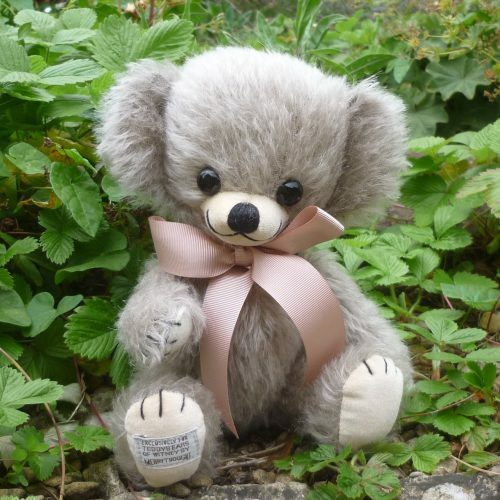 Dusky Cheeky wears a ribbed, dusky pink ribbon bow. Exclusive to TBW, he is softly pellet filled.